This golf outing is a competitive event among foursomes, with both experienced and novice players, following a scramble format. The tournament was at the newly refurbished golf course at Mount Vernon Country Club, located at 5111 Old Mill Road, Alexandria, VA 22309 [directions]. 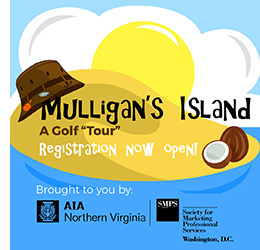 For our 9th annual golf outing, we are proud to team with the Society for Marketing Professional Services – Washington, DC (SMPS DC) to bring you 18 holes of summer golf, boxed lunches, a barbecue buffet, great prizes, and an exciting opportunity to network with local AEC professionals! 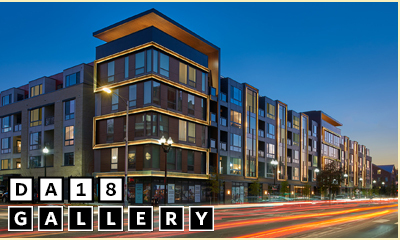 Proceeds from the tournament support AIA Northern Virginia scholarships for local architecture students and ARE candidates. More than just a three-hour tour on The Minnow, the 18 holes of golf and subsequent barbecue buffet reception will provide members and colleagues a chance to strut their stuff on the links with shots at a whole boatload of exciting prizes! Show your tropical summer spirit and sport your best Gilligan's Island themed costume for a chance at a special prize during the reception. There is a registration option is available for reception dinner only. Register by June 1 to take advantage of our early bird discount. Registration closes July 18, so be sure to sign up your team today! For questions about the tournament or sponsorship opportunities, please click here or contact the Chapter House at aianova@aianova.org or (703) 549-9747. Gentlemen are required to wear shirts with collars and sleeves. All shirts that are designed to be tucked in must be tucked in (i.e. golf shirts, sports shirts). Caps must be worn bill forward. Shoes must be appropriate for golf and metal spikes are prohibited. Overly revealing clothing, pool attire, blue jeans, cut-offs, and gym clothes are not permitted.